Let's all get to know the British rock band who topped the Vodafone Big Top 40 chart with their epic single 'Drown'. 1. These guys are Bring Me The Horizon! You ready for the names? 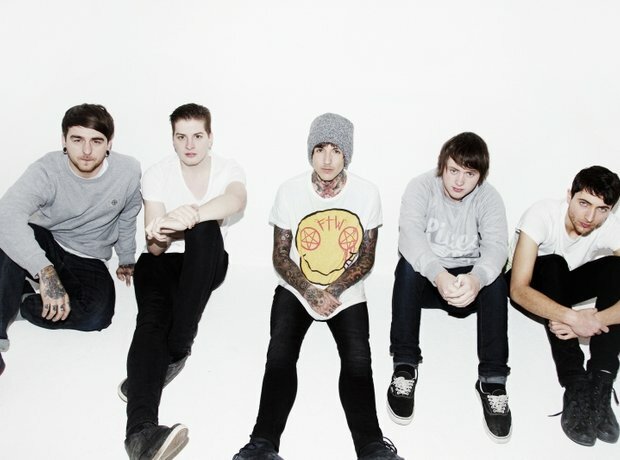 Okay they are...Oliver Sykes, Lee Malia, Matt Kean, Matt Nicholls and Jordan Fish. 2. They formed in college which is kinda adorable right? The Sheffield based band came together in 2004 and haven't stopped moving with the times since. Over a decade later and the bands are still releasing hit after hit. 3. They were award winners early on. In 2006, Bring Me The Horizon won the award for best British newcomer. Early singles such as 'Pray For Plagues' helped the band gather an extremely dedicated following. 8. They make truly AMAZING music videos. The 5 piece won the Best video award for their track 'Alligator Blood'. 9. They are Vodafone Big Top 40 No.1 chart toppers! Mr. Sykes and co. released their brand new single 'Drown' at midnight on Sunday and went straight to No.1 fighting off competition from the likes of Taylor Swift & Ed Sheeran.